"Edvald Boasson Hagen has raced this stage six times in his career, finishing in the top four on four occasions. He clearly likes the cobbles, and, after an indifferent race, Team Dimension Data will be willing to throw their full support into salvaging the Tour by helping him to a glorious final stage win..."
The final stage is short, at only 116km, and follows the now traditional pattern: it starts late, somewhere in the outskirts of Paris (in this case Houilles); it will include the usual media nonsense of Geraint Thomas pretending that sipping champagne whilst out riding is a normal, everyday occurrence for him; and the peloton will descend on the centre of Paris, hitting the first of eight laps up-and-down the Champs-Elysees at around 5pm (BST). The course is more challenging than it appears on television, with the cobbles explaining why break-away attempts will dive for the few centimetres of smooth guttering on the road's edge. Those break-aways may get a handful of seconds' advantage, but this stage is the dominion of the sprinters, with many viewing it as their unofficial world championship and so - if this follows the pattern of most other years - a break-away will not be successful. One possibility, I suppose, is that the sprint teams - depleted as they are with abandonment and injury - will not be as vigilant as usual, allowing a buccaneering sole or two a break-away win. It's highly unlikely, though. After his Stage 18 sprint win into Pau, Arnaud Demare is the favourite at around [2.20] to bring the home nation some glory on the Champs-Elysees. He's certainly been among the best sprinters throughout the race, but we shouldn't get carried away by that last win: it was a ragtag finish where several of his main competitors were poorly placed on the run-in. Added to this, it's hard to assess the degree to which his most likely opponents were simply spent from their efforts in the mountains. Peter Sagan, for one, was badly injured and clearly couldn't show his best. Demare has never finished higher than 5th on this final stage, and whilst he wouldn't be a surprise winner, I won't be taking such short odds about him succeeding on Sunday evening. It seems strange to consider Peter Sagan ([6.00]) an outsider for the stage, as, on balance, he has been the best sprinter in this year's Tour. He got badly bashed up on Stage 17, though, and has been in survival mode over the last few days. He looked better in the time trial on Stage 20, but whether he will be at his best here is questionable. He's one to avoid in the pre-stage betting, but is worth keeping an eye on in-play. If he seems revitalised in the closing stages, it would be worth having a saver on him on a course where he's been a consistent performer. A strong case can be made for Alexander Kristoff ([4.00]), if only on the grounds that he's one of the few out-and-out speedsters left in the race. For similar reasons, Christophe Laporte ([10.00]), John Degenkolb ([15.00]), Sonny Colbrelli ([17.00]) and Magnus Cort ([19.00]) can all be considered. Having tipped him three times at big prices, I'd be gutted if Sonny Colbrelli finally got everything right and claimed the stage win he's got so close to this year. However, my choice, instead, is Edvald Boasson Hagen at around [20.00]. He's raced this stage six times in his career, finishing in the top four on four occasions. 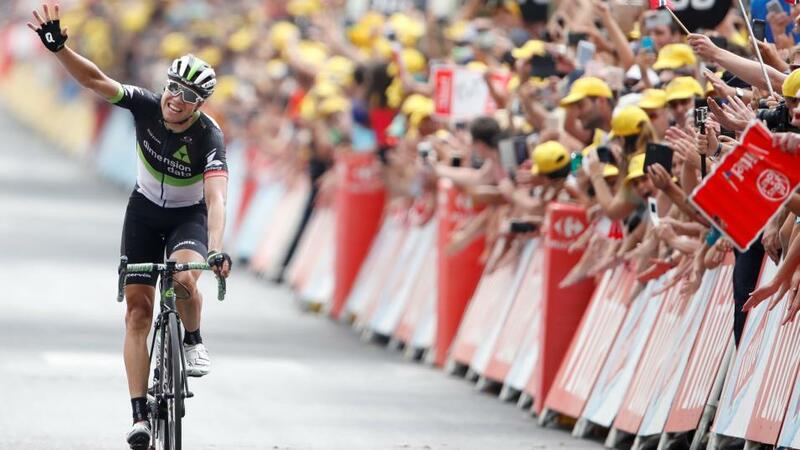 He clearly likes the cobbles, and, after an indifferent race, Team Dimension Data will be willing to throw their full support into salvaging the Tour by helping him to a glorious final stage win. None. The race finished yesterday, in Espelette, and with the Points Competition, and other jerseys, all sewn-up. This stage is only significant to the sprinters for the stage win. That's not to say that, theoretically, there can't be General Classification movement. In 1979 Zoetemelk attacked Bernard Hinault in a futile attempt to claim race victory and, in 2005, Alexander Vinokourov gained enough time on Levi Leipheimer to overtake him for a top-five spot. Whether it's convention, then, for no-one to attack the GC on the final stage, or simply so unlikely to succeed that no-one bothers trying, it remains improbable that we'll see any change in the Yellow Jersey order. How to Win on the Tour De France: Is the Giro D'Italia the best warm-up race?